The Transport Workers’ Union will be out in Queensland in force today, to discuss bus drivers’ future options as the State Government has announced major changes. Assistant State Secretary Scott Connolly says 2014 will be a big year for drivers with the upcoming Transit Australia Group (TAG) EBAs and the introduction of Premier Campbell Newman’s international tendering. "Now is an important time to talk to TAG drivers about their current conditions and what they want to see in their next agreement," Connolly says. "TWU organisers will be out across Queensland today, and over the coming months, talking to Sunbus and Surfside drivers and starting to put together their log-of-claims.’"
He says it is important drivers have their voices heard. "One of the biggest questions today will be asking drivers if they want a local or a state-wide agreement." Another issue facing Queensland bus drivers next year is Premier Newman’s announcement he will open the tendering process for Queensland bus service contracts to the global market. 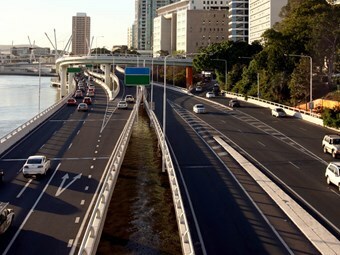 "This is another kick in the teeth for drivers and for Queenslanders," Connolly says. "Not only does this government dismiss the fact that bus drivers are bashed, robbed, threatened and abused on a daily basis, but now they want to cut pay and conditions by opening up tendering to the global market. "Bus drivers carry our most important cargo – people. "They deserve more from this State Government, and they deserve to not be treated like second-class citizens."